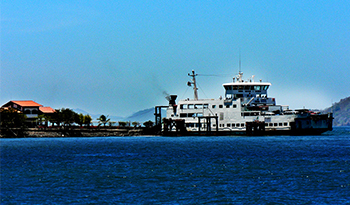 Puntarenas is the capital of a province by the same name, which is the largest of Costa Rica's seven provinces. It is a mid-sized port town constantly busy with international arrivals, locals who come to visit for the weekend, and travelers who are catching a ferry across the gulf to the Nicoya Peninsula. Puntarenas real estate offers both residential and commercial options. Business owners and managers who depend on this major port will appreciate the ease of access to highways heading north, south, and east towards the capital. Industrial space, storefront locations, and other real estate options are available in the Puntarenas area. In the areas surrounding Puntarenas, families can find neighborhoods where locals and expatriates live side by side. A bit further out, luxury homes with ocean views are hidden and tucked away in the hillsides. If you're looking for specific amenities or want to design your home from the ground up when investing in Costa Rica, it is not difficult to find an available lot and build for yourself. Many existing homes that are available to those looking to purchase property or retire in Costa Rica already have all the amenities they're used to back home. Vacation rentals are also available throughout the area. 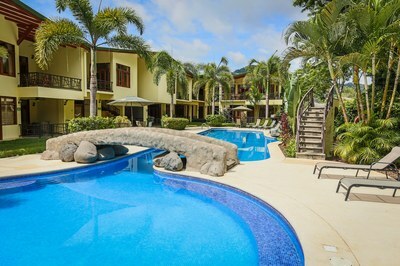 Club Cielo Condo #8, Claro Atardecer: A perfect condo by the beach in the beautiful Costa Rica!